Student Life is here for you; our most basic task is helping students get the most out of their experiences at the University. When it comes to being healthy, being safe, or being heard, we connect students to the resources they need to achieve and thrive at Michigan. That includes resources for mental and physical health and wellness like counseling, medical care, sexual assault prevention, and recreational sports; tools for conflict resolution including legal conflicts, personal conflicts, and institutional issues; and individual support at places like the Dean of Students Office and Services for Students with Disabilities.  Student Life’s Counseling and Psychological Services (CAPS) provides confidential psychological and psychiatric services for currently enrolled U-M undergraduate and graduate students in an atmosphere that is welcoming, comfortable, and multi-culturally sensitive. If you would like to find... connection, community, learning, social justice, and space to support a diverse campus community, Student Life can help! Students may experience unusual, unforeseen expenses while in school. The University offers several types of assistance for students in such special circumstances. Campus safety is on a lot of people's minds. Come to the Trotter Multicultural Center 11/12/15 for a presentation and discussion about school shootings. Searching for a job or internship is stressful for most students. So what's different when you also have a disability? Come find out more 11/6/2015. With recent events, protests, and racial tensions at the University of Missouri and elsewhere, Student Life's Counseling and Psychological Services can help. You just got back from study abroad and it was TOTALLY AWESOME! How do you tell recruiters and graduate schools about it? Do you have the Michigan app? It's a great way to keep news, events, locations, class resources, and more at your fingertips. Take it from Student Life's Student Legal Services: renters insurance is a bargain. SAPAC, Student Life's Sexual Assault Prevention and Awareness Center, provides free and confidential crisis intervention, advocacy, and support for survivors. Wondering what you can expect if you contact them? Blue Prints pulls together important and timely information for navigating campus. The William Monroe Trotter Multicultural Center's Annual Lecture presents keynote speaker Marv Fox, Jr. on February 8, 2016 at 6:00 pm in the Michigan Union Rogel Ballroom.